I love social media. I work in social media; I spend a better portion of my free time on Twitter and Facebook, text and other applications communicating with friends literally from around the world. So, when I hauled out my suitcase, I also jumped on my varying platforms to see what friends were saying about what to pack for Sochi. There is a lot of confusion about the climate. 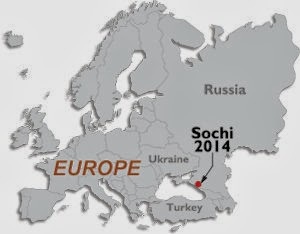 Sochi and Adler, where the Coastal Cluster of arenas and ice venues are located, is in a temperate zone. 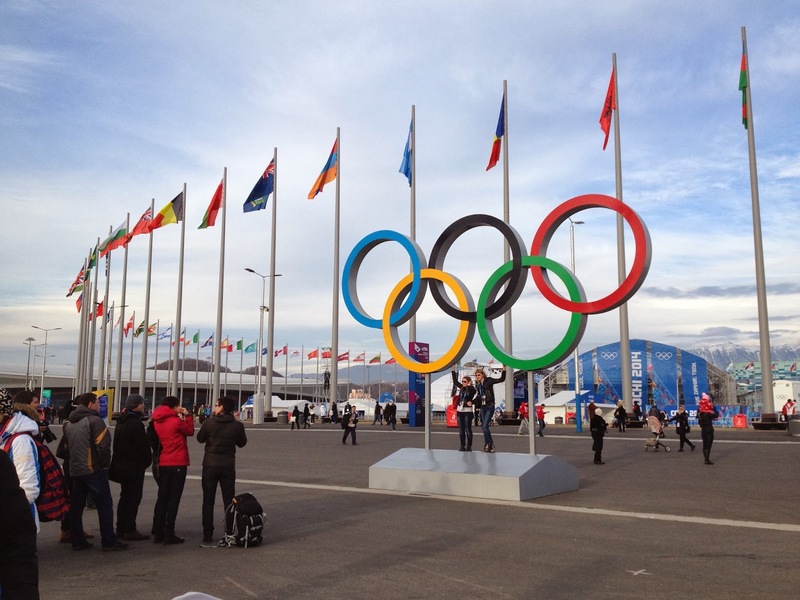 Looking at photos posted by the U.S. Olympic Committee and Sochi 2014 on Twitter, there seemingly is an unnatural abundance of palm trees. In the Mountain Cluster, about 40 minutes uphill from the actual town of Sochi, there is a wealth of snow. I dragged out every suitcase and carry-on bag I own to see how I was going to manage 10 travel days in one piece of checked luggage and one carry on. On top of that, a journalist friend of mine, who flew into Sochi a few days earlier from Canada, sent me a message of Facebook. 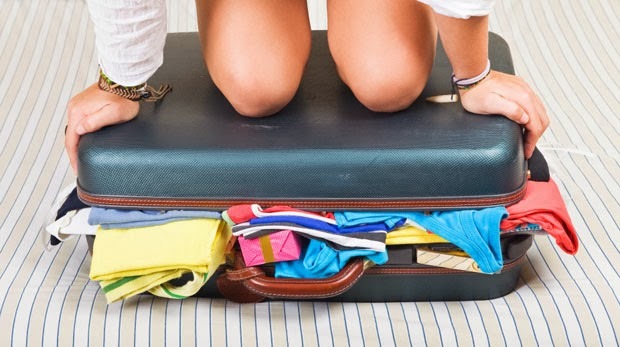 She said that Orenair, the airline we were flying from Frankfurt to Sochi, was only allowing 25 kilos per person (approximately 50 lbs) – including your personal items – or the airline was going to charge extra per kilo. She said that TV and photographers were getting hammered with excess charges that came in at a whopping 10EU overage per kilo. Some media were paying more than the cost of their tickets just to get their equipment to the Games. To say that gave me pause would be an understatement. While I don’t tend to over-pack for trips, the idea of having to pay more on top of a trip that, even with the assistance of the USFS Destination Sochi Family Tree funds, was looking like more than 6 months of payments on our two mortgages. 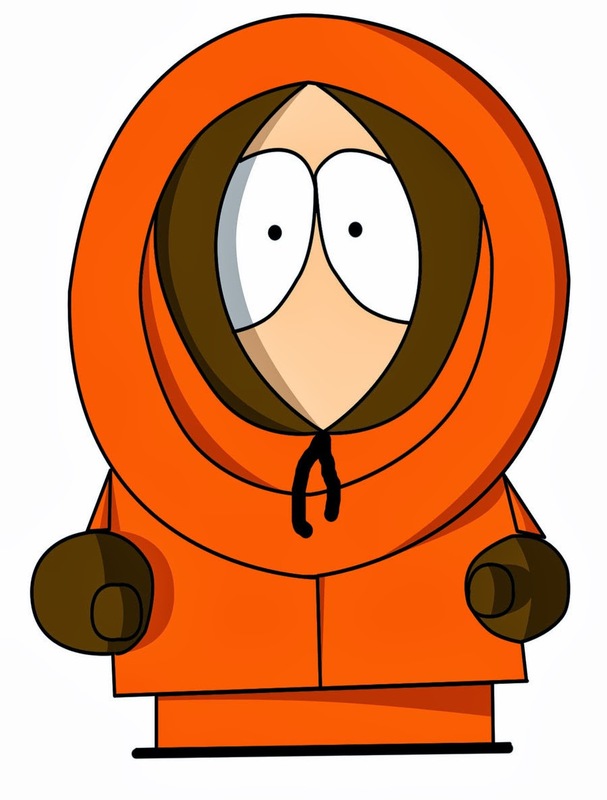 I started to think about all the years I lived in Aspen and told our guests the key to success in keeping warm was “dress in layers.” Seemed reasonable that this would be the Olympic travel mantra. Beginning with base layers, I started dragging out all the lightest weight clothes I had for winter wear: Lots of fleece, under gear, tights, three pairs of light slacks, a pair of jeans and my ever-present travel pants. The color scheme for the trip – black and gray, something I learned from traveling with my mom to Europe years ago, when we didn’t have a limit on bags. I could hear her voice in my head saying, “Accessorizing is key,” so out came the lightweight scarves – lots of them in as many colors as I could find. No jewelry. We were advised not to bring it which was fine with me since I’m not much of a jewelry person anyway. It did pain me, however, to leave a few key pieces accumulated over the past 24 years behind. Being prudent seemed smarter than being superstitious. in Houston, gave me some Eagle Creek packing bags. They work like the vacuum seal bags but without the vacuum. Instead, through an ingenious series of zippers, they compact more items into a small space than I though was possible. 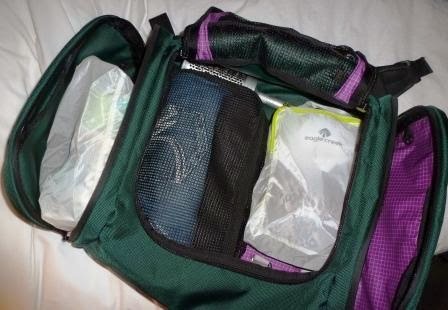 I also found that Ziploc had bags for travel that did nearly the same thing. Put the clothes in, zip it closed and then squeeze the life out of it until six items become the depth of an over sized crepe. Genius. I now had everything I needed neatly flattened. Who cares what it was going to look like when I undid the bag. I was set to go. Weighing the closed suitcase as best I could, it looked like I was under 20 pounds leaving me leeway for my purse and backpack. I was smug as my husband threw things in and took things out of his bag with the agility of an NBA All-Star. I was at the top of my game. Sochi awaited. With a day left before departing, I was ready to go out the door – so I thought.